Published in Business Development on 10/12/2017 by Harry Lew, Chief Content Writer. As an insurance or financial-services agent or advisor, you’re in the enviable position of not having to purchase expensive equipment to transform raw materials into saleable widgets. All you need are your knowledge and skills, which reside in your head; a computer with an Internet connection; relevant computer software; and the ability to meet with prospects and close sales, either in a physical location or virtually. Of course, you also need things like office supplies to keep your sales “factory” humming and insurance (including E&O insurance) to keep your business safe and secure. Even so, compared to firms that make things, your cost profile should be minimal. Even so, you have many opportunities to grow your profits by reducing your costs. Like many agents, you may have become comfortable with your current vendor relationships. Instead of comparing their prices to their competition, you just keep paying—and potentially over-paying—for their products and services due to inertia. Similarly, once you get used to a certain way of doing business, it’s easy to forget that new technologies can make your job easier and cheaper to perform. But again, it’s comforting to keep doing the same things, the same old way. One way to “institutionalize” cost saving is to review your business checking account or accounting system to determine your top expense categories. Then commit to re-evaluating them at least every one to two years. 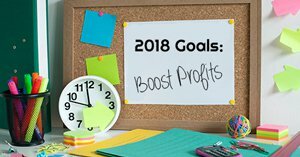 The last two weeks of the calendar year is a perfect time for this exercise, since many prospects and clients will be busy with holiday activities. Start by simply asking vendors for a lower price. Depending on how long you’ve been with them, they may give you a break just to keep your business. Another savings possibility: consider lower-cost substitutes for expensive services (voice-over-internet phone service vs. traditional land or cell service, for example). Finally, reconsider the manner and format of your purchases. For example, instead of buying five-ream boxes of copy paper, buy 10 reams with a lower per-ream cost. Or buy from Internet shopping outlets vs. bricks-and-mortar stores, which have higher overhead and prices. The point is, by questioning what you buy and from whom, you can drive a lot of extra profit to your bottom line. Use technology to reduce costs. Computer hardware, software, apps, and the Internet are the great business levelers. They allow solopreneurs to operate with the same efficiency and impact as large corporations. But the challenge is to figure out where you want to apply technology, which hardware or software to deploy, and how to use them to your maximum advantage. Start by identifying the functions in your business that consume the most of your time and that you find most difficult to perform. For example, if you’re not detail driven and always struggle at recording expense receipts to maximize tax deductions, then consider downloading a smartphone expense-tracking app. Or maybe you hate writing and struggle with client correspondence. Then perhaps an app that lets you dictate your letters on your phone and then print hard copies would save you time and grief. The point is, look for the chinks in your business where you can remediate weakness and save money in the process. Lower your costs by hiring experts. Yes, this sounds counter-intuitive. But if they have more expertise than you do and their hourly rate is lower than yours, they might be able to complete the work faster and cheaper than you can. For example, hiring a telemarketing firm to book appointments might make sense. Or maybe hiring a skilled financial writer to create content for your website or blog. Reason: if it takes you four hours to write a blog post that take this person only two hours to write and if the person’s hourly rate is lower than yours (highly likely), then outsourcing might be reasonable. Requests service bids periodically. Not enough financial professionals do comparison-shopping for the regular products and services they purchase. For example, do you frequently shop your cellphone contract to see what better offers are out there? How about lead-generation direct-mail services? Do you practice what you preach to your clients in terms of shopping for cheaper insurance? Putting your commercial, disability, and health insurance out to bid will almost always generate significant savings. Move to a virtual office. Paying rent for office space may be one of your largest expense items, only behind paying for your assistant’s salary and benefits (if you have an assistant). Do you really need a bricks-and-mortar office? Yes, a nice office impresses some clients. But more these days are fine with doing business over the phone, over Skype, via e-mail, or over a Starbucks coffee. Because so much of the corporate world has adopted telecommuting, the stigma that used to taint home-based professionals no longer does. Now, if you find you can’t maintain your usual productivity working from home, then investing in an office will still be required. But rather than paying for a complete set-up, perhaps consider using a so-called “co-working” facility where you can rent a small workspace with access to a shared conference room and office equipment for a reasonable monthly fee. Find ways to eliminate inefficiencies. Do you still print documents only on one side of a piece of paper? Are you personally delivering proposals and forms to prospects and clients when courier could do it cheaper (when you consider the value of your time)? There are a myriad ways to root out inefficiencies in your business. You just need to think systematically about every function, determine how much time and money you spend on each, and then brainstorm cheaper alternatives. This is not rocket science, but it requires carving out time to brainstorm. Cancel services you no longer need or use. Are you paying for services that no longer render sufficient value or that you no longer even use? If so, these are prime candidates to zero out. Perhaps you have old business magazines you never look at. Or trade associations for which you’ve stopped attended conferences or using their services. As with many things in life, inertia has a powerful way of locking us into unnecessary (and costly) behaviors. Paying for things we no longer need or use is a prime example. So commit to rooting out these wasteful items during your end-of-year review. Go green to save cash and help the environment. One of the biggest potential cost savings is minimizing your energy footprint. This will not only be good for the environment, it will be great for your budget. The possibilities here are endless. Do you leave your office lights and computers on all night? Are you using the latest energy-efficient office equipment? Do you plug all your computer devices onto a power strip and then turn it off at the end of the day to save energy? Are you using energy-efficient LED bulbs? The point is, you can save a lot of money by becoming a wise energy consumer . . . and you’ll help the country minimize its carbon footprint, as well. Reduce office expenses. Are you running your office the old fashioned way . . . using lots of manual procedures and pieces of paper and older, less capable electronic devices? Then consider upgrading to a 21st century business model. One obvious alternative: strive to consume less paper; hard-copy documents are inherently inefficient and expensive. With hard-drive storage costs plummeting, it makes more sense than ever to store your files on local hard disks than as paper files in office cabinets. You can probably save even more by moving all or selected documents into the cloud with services such as Box or Dropbox. This allows you to access your information from any device, anywhere in the world, as long as you can get on the Internet. Are your business procedures mired in antiquated steps? Then consider learning how (or hiring a consultant) to help make your business more technologically advanced. A key opportunity: moving to simplified, electronic insurance underwriting, which not only speeds the process of taking applications and handling underwriting, but also accelerates commission payments. In terms of more advanced devices, have you looked at moving your document printing (for those files where paper is necessary) from a traditional laser printer to a networked office copier? The costs per copy of the latter are a fraction of what it cost for laser-printed documents, which demand frequent purchasing of extortionately priced toner cartridges. Although the above eight strategies are deep “containers” within which you can uncover dozens of your own cost-savings ideas, whether you save money or not ultimately depends on you. It will take time and thought to envision new ways to reduce your overhead—and the commitment and courage to do it. Are you up to the challenge? Here’s to saving money in 2018!